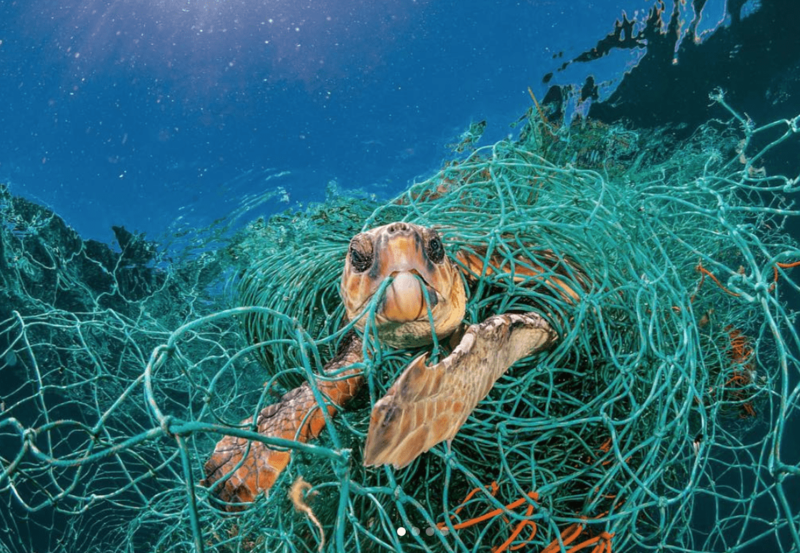 Photos of animals trapped in our plastic waste have swarmed the internet for years now, yet little has been done to change it. That is, until Saltwater Brewery in Delray Beach, Florida, came up with the brilliant idea to make edible 6-pack rings for their beer. Instead of using traditional plastic rings, Saltwater Brewery is using their leftover materials to make an animal and eco-friendly alternative. A recent study shows that an estimated 1 million birds and an additional 100,000 marine animals die each year from our plastic waste. These animals often mistake plastic waste for food, or become trapped in plastic packaging, specifically beer and soda 6-pack rings. Often times, animals can end up being strangled to death in the plastic rings, or cut off their blood supply to their limbs. 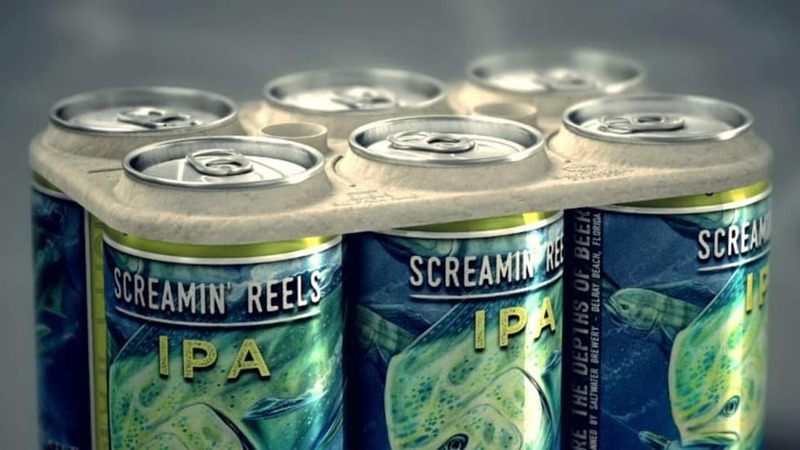 Edible 6-pack rings could completely change the way that products are packaged. Once businesses and consumers see the potential of edible packaging, it will just be a matter of time before we see it popping up everywhere that it can. Edible packaging may not be suitable for every food product, but replacing traditional plastic 6-pack rings will make a huge impact on animal well-being and the plastic content of our oceans. 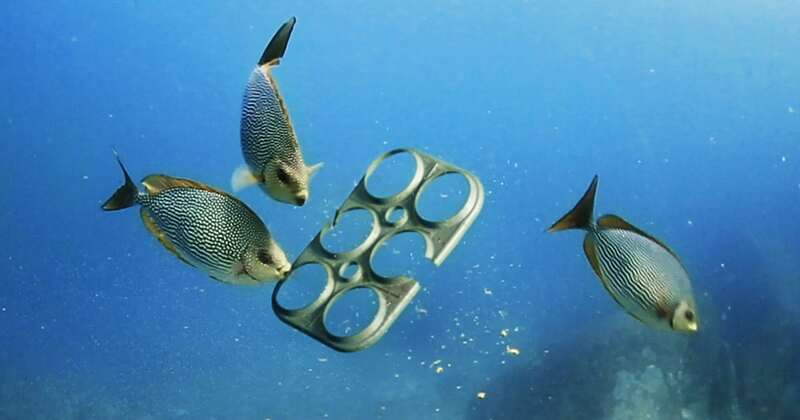 Making edible 6-pack rings is environmentally-friendly, and significantly cuts down on pollution. Saltwater Brewery found that there was a ton of leftover wheat and barley after making their beer. Instead of putting it to waste, they decided to experiment with the idea of recycling the leftovers to make packaging that can be decomposed quickly. Plastic takes hundreds of years to decompose on its own. But with edible 6-pack rings made from wheat and barley, decomposition is quick and harmless. If the rings end up in the ocean, animals can eat them without any health risks. The rings will also decompose in the ocean or on land in just a matter of days, if the animals don’t consume them. After 2 years of waiting, these edible 6-pack rings are finally available in stores. Saltwater Brewery is hoping that their packaging alternative will inspire other beverage companies to reduce their plastic waste. Either way, these rings are saving the lives of hundreds of animals, and reducing the plastic content in the oceans and on the beaches. Saltwater Brewery is paving the way for marine-safe beverage consumption. Aside from 6-pack rings, there are many other edible packaging materials currently being tested. Some of the most popular materials include potato starch, beeswax, calcium, and algae. These alternatives are completely compostable, plastic-free, and can even add nutrients, probiotics, and flavoring to the products they package. It’s no secret that our planet is filled with plastic. From food wrappers to straws and drink stirrers, worldwide, we’re doing a dismal job at recycling our everyday plastic products. Right now, only 10% of our used plastic is being recycled. That means that everything else is being carelessly tossed into landfills, much of which ends up in the ocean. Sadly, there isn’t much effort to reduce plastic dumping in our oceans. In fact, a garbage truck full of plastic is dumped into our oceans every minute. And, these careless actions are adding up. Across the planet, there are five massive plastic waste formations floating in the oceans. One of them is located between California and Hawaii, and it is now the size of the state of Texas. If we continue at this rate, by 2050, there will be more plastic than fish in our oceans (by weight). It’s hard to even fathom that thought, but our plastic consumption is out of control. While recycling more would certainly help the case, it may not be enough to undo the damage already done. What we need now are more products like the edible 6-pack plastics that can decompose quickly and safely in the environment. Once we move towards that reality, we can then go into the oceans and begin cleaning the horrific mess we’ve made. It's time we consume responsibly to prevent harm to our underwater neighbors. Our advancements in technology and science allow us to explore new alternatives to our traditional plastic-laden products and packaging. It only took 2 years for the folks at Seawater Brewery to make their plastic-free packaging dream become a reality. Imagine what we could accomplish 2 years from now, if more companies committed themselves to an eco-friendly cause? While we wait for more environmentally-friendly packaging alternatives, you can still do your part in the preservation of our oceans. Instead of using plastic water bottles, always carry your own reusable one. Ditch straws in restaurants and coffee shops, and make sure to shop with a reusable tote. By doing these things, you’ll be saving our marine life and setting a good example for others to do the same. Spread the word about the dangers of plastic waste in our oceans, and make sure to shop smart.